As expected, the Pittsburgh Steelers are entertaining two more free agents on Tuesday at the UPMC Rooney Sports Complex as linebacker Dont’a Hightower and cornerback Davon House are now confirmed visitors. 2 UFAs visiting the @Steelers today: CB Davin House and ILB Dont’a Hightower. The higher-profile of the two players, Hightower, reportedly visited with the New York Jets on Monday and obviously left town unsigned. The former first round draft pick of the New England Patriots is looking to cash in big this offseason after registering 372 total tackles, 17 sacks and two forced fumbles during his first five regular seasons in the league. He missed 13 games due to injuries during that span, however. 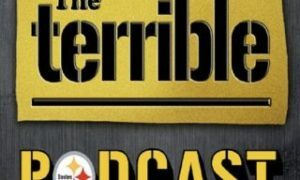 There have been reports that Hightower might be looking for $10 million or more a season during his free agency tour and if true, it will certainly be interesting to see if the Steelers are willing to offer him that kind of money after losing veteran inside linebacker Lawrence Timmons to the Miami Dolphins over the weekend. One has to think that the Patriots are monitoring Hightower’s situation closely as well even though they chose to let him explore free agency. As for House, who is currently a street free agent after being released by the Jacksonville Jaguars just prior to the start of the new league year, his current market value figures to be quite low right now. The former fourth-round selection of the Green Bay Packers had a fairly quick fall from grace after signing a four-year, $24.5 million free agent contract with Jacksonville in 2015. In his two seasons with the Jaguars, House recorded 77 total tackles and four interceptions and 23 defensed passes. After starting 15 games in 2015 with the Jaguars, House started just four last season on his way to playing just 272 total defensive snaps. #Steelers Tuesday Free Agency Poll: What will be the outcome of the Hightower and House visits?